Work began today on a mural featuring characters from The Simpsons. 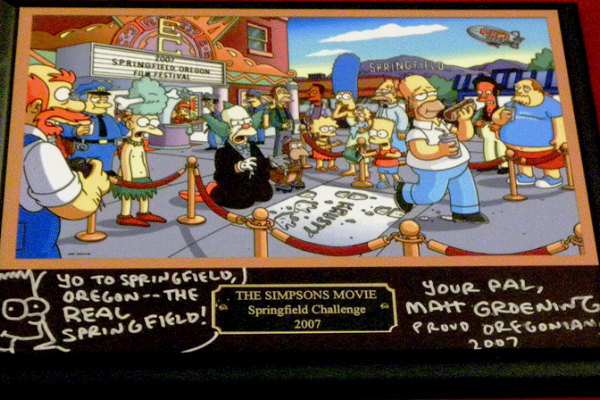 The colorful creation will grace the west wall of the Emerald Art Center in Springfield, Oregon, which Simpsons&apos; creator Matt Groening has alluded IS the "real" Springfield. The mural is a collaboration by Twentieth Century Fox Film Corporation print artist Julius Preite and Groening. 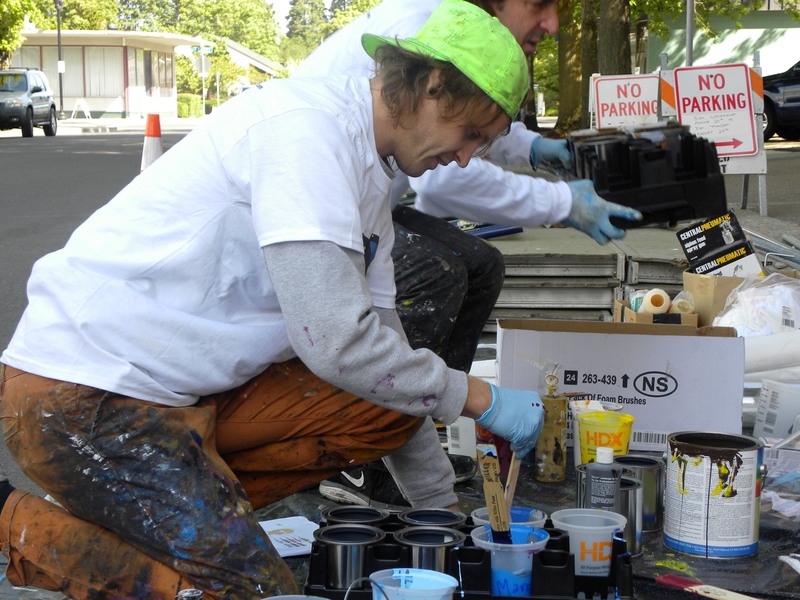 It is being installed by the Old City Artists, which is led by former University of Oregon football player, Erik Nicolaisen. The design is still a secret, but we are allowed to show you this portion of it with Lisa on a bike and Maggie in a basket. 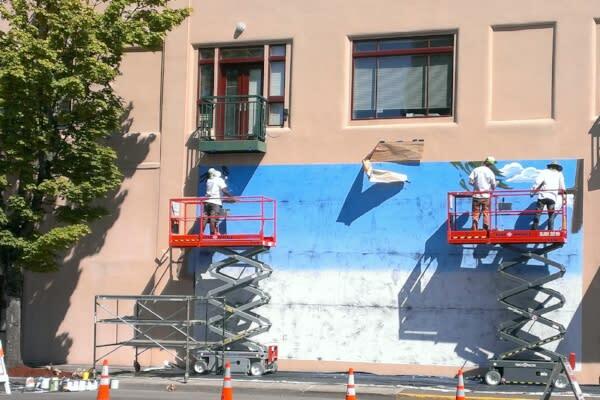 The mural will be unveiled on Monday, August 25 at 11: 30 a.m. Special guest Yeardley Smith (voice of Lisa Simpson) will be there to celebrate the dedication. Simpsons Mural Dedication and Community Party Monday, August 25, 11:30 a.m.